Welcome to the new website. 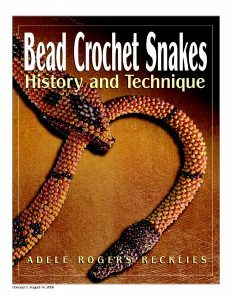 I originally set up the website for my book "Bead Crochet Snakes: History and Technique," the exploration of beaded snakes including those made by Turkish prisoners of war during World War I. The new website still has that, but has expanded to contain some of my Reckless Beading bead and wire jewelry. I also moved some of my theatrical costume work here so that everything is finally under 1 digital roof. 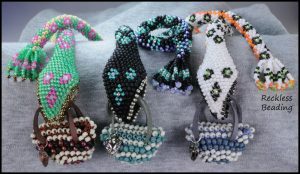 To contact me, use the Contact Me form or email at info@beadcrochetsnakes. The snakes were so excited about the new site that they grabbed their little bags and helped me move.